HYPOTHESIS: What does Faith mean? INTRODUCTION: This study looks at a deeper and truer meaning of "Faith". The Author had a careful look on the Internet for anyone understanding a truer meaning of "faith". Sure there are some good child like understandings of "faith", but none that presented "sola scriptoria" correctly. 117 How does child like faith work? 81 List seed promises of prayer used early in child like faith? 1095 How to study your Bible words using child like faith. Also few people could explain the term "faith" in their own words or personal experience at my local church. This study is NOT about knowledge or increasing pride because of so called superior knowledge. This word is the most important theme in all Scripture because the Holy Writings say, in the NT, that a person is saved by Jesus by their "Faith". Ac 15:11 But we believe (Greek: pisteuo) that through the grace of the Lord Jesus Christ we shall be saved, even as they. The Greek word believe (Greek: pisteuo) is a verb, Strongs 4100, and is a translation of the Hebrew word "aman" Strongs 539. The other Greek word for "faith" is the noun, "pistis" Strong's 4102, is translated from the Hebrew word referenced by Strong as 530. Both of these Hebew words, and more will be studied. Ro 4:3 For what saith the scripture? Abraham believed (Greek: pisteuo) God, and it was counted unto him for righteousness. Ge 15:6 And he believed (Hebrew: aman) in the LORD; and he counted it to him for righteousness. What is interesting in the OT Holy Writings, is the process of "Faith" is written using different words. Ho 14:2 Take with you words,.. Here is the Sola Scriptoria definition of "Faith", a term used widely in the NT, written in the OT, using two Hebrew words: The verb "take" is the Hebrew word "laqach" meaning "to take", and has two Hebrew words spelt the same, a "verb and noun" form. Both of these forms have the same meaning but different senses of actions, as all Hebrew words spelt the same as "verb and noun" forms. He went to love Jesus with his love. We must support Jesus with His words of support, that support us. Pr 16:23 ¶ The heart of the wise teacheth his mouth, and addeth learning (laqach) "takings" to his lips. So when we take the words of Jesus, we are increasing our learning, and this causes a better flow of power in our life. So when a beginner first gets started in Jesus, you would expect the Holy Writings to use "beginner" like words, that a "common man" understands. And this is what you find in the "salvational steps to Jesus". Thus the concept of "support" or "faith" is written in such simple terms, even a beginner can understand. The first word listed is "man", a simile of mankind, a simile of "Faith". Sadly the KJV translates the OT Hebrew into English using Greek ideas, so much for Hebrew sola scriptoria. Who is this "man" sent down from heaven to earth, so that we may eat His words from His mouth, as a simile of eating bread? Ne 9:20 Thou gavest also thy good spirit to instruct them, and withheldest not thy manna from their mouth, and gavest them water for their thirst. The man that comes down from heaven, who supports us by allowing us to live, as eating bread supports our cells allowing the body to live, comes via the "good" Holy Spirit. The concept of a "good" or functional Holy Spirit, also implies a dysfunctional Holy Spirit. Is there a Holy Writing for this idea? 1Sa 16:14 ¶ But the Spirit of the LORD departed from Saul, and an evil spirit from the LORD troubled him. "The Holy Spirit administrating the character of the YHWH-Jesus departed from Saul, and a dysfunctional flow (coming from YHWH) administrated by the Holy Spirit allowed a bad character to trouble Saul." Where does this bad flow that causes a bad character come from? 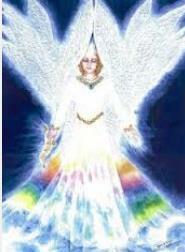 From Satan as a ruler over your soul or "living energy". Notice the flow of man begins as a simile of food. 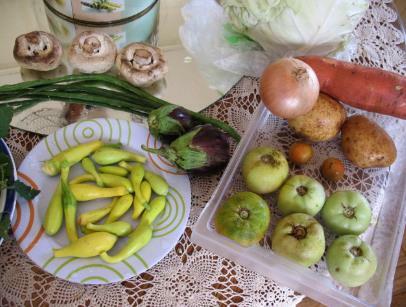 This is the functional food from your own home grown vegetable "growing goodness garden". This is the dysfunctional food from the "manufacturing man-made madness". The Author could leave the study of "Faith" here. We already have enough tribulation presented here. The "man" Jesus came down from heaven, with His words for us to eat. This is a simile of food. There are two places where our food comes from. The "growing goodness garden" of Eden, where wholesome fruits grow because our Designer designed goodness that way. In the middle of the Garden was the Tree of Life, bearing fruit unto ongoing living. And there was the Tree of Function and Dysfunction, also in the middle of the Garden, which if eaten would cause man to become "manufacturing man-made madness" and thus oppose GOD with his own man made manufactured melodies. We see this when mankind sinned, manufacturing clothes of fig leaves to add man-made righteousness to their naked bodies. But GOD clothes them with skins of animals once alive, now dead, showing the solid covering of light which covered them as a garment by the Holy Spirit, was not good enough for Adam, he chose instead to listen to another ruler wanting to rule over his "living energy". And so the relationship changes from mankind with God to mankind with Satan. Faith is really about who is supporting you, and how you support His support? METHOD: There are too many verses of context and too many related words in this study to investigate all verses of context. Instead, the Author will study scores of verses of context across many related words to get a balanced view of the theme for "faith". The pictograph reads "The flow over the nations"
This word is spelled "man" or "men" in Hebrew, and is the parent root of the word "faith". We have seen already this word is a simile of food that flows down from heaven. The "man" Christ Jesus, came down from heaven with His words for us to eat. CONCLUSION: The general term "faith" actually is a concrete term in Hebrew meaning "support". Faith is a community reference to one supporting another, and can refer to the way God supports us, or how humans support God, by allowing His words of creative power to flow through us. This is promised in Jesus, because Jesus is the "Word" or "Man" personified. The Author can see already that in order to support Jesus correctly we have to "eat His growing goodness garden" in the physical sense, before we can even begin to "receive the powerful flow of Jesus in a spiritual sense" into our "living energy". How much flow flows into your living energy is up to you and your Saviour, and is NOT a condition of salvation, so do not judge others by what they might be doing. For more about the similes of different flows of growing in different people of believers, consider the 300 different ways gum trees grow. These thoughts are written in a letter to my Dad, just before He died of cancer. The Author had a careful look over the man that falls in Namba each Wednesday and Friday, to the reasons why it falls, and which members in the Church is humble enough for this wonder of Jesus to flow through them. "Namba is a small and drought-stricken village in Southern part of Angola, a Seventh Day Adventist missionary who spent nearly a lifetime in Africa established a mission in this village. This white missionary left and for some years the mission was under the care of a local director. One year the rains failed to come, the crops did not grow, and the mission stores were emptied and no money to buy food if it could have been found. The mission director had been away for some weeks on a trip visiting distant mission schools. The believers at the Missao Adventista da Namba came to the end of their resources and food supply. The director's wife called the families together and told them the situation. Then she read to the people the promises of the Lord and told them of the manna which had been sent by God to His people in the time of Moses, assuring them that God could send them food in the same way, if necessary. After prayer, a little girl, about five years of age, went out of the house and in a short time came back with her hands filled with white stuff, which she was eating. "What are you eating?" asked the mother. The little lad replied: "Out there I saw some European men, and they said, `The Lord has answered your prayer and has sent you manna; take it up and eat it.' 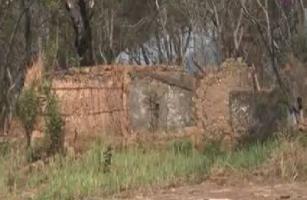 "
Immediately, others went out and found many acres of the ground covered with this white substance. In every detail it corresponded to the coriander-like seeds of the original Manna. Its taste was like wafers and honey. When the people went out to gather the manna, they found no trace of the Europeans. They gathered large quantities of this remarkable food, and their lives were sustained for some time until other food could be obtained. This first happened on Sunday 19th of March, 1945, when God Almighty performed a miracle at Namba, for God caused to rain from Heaven the bread of heaven which is called 'Manna.' The people of Namba ate and filled plates of it. There ate of it many men and women and young children. 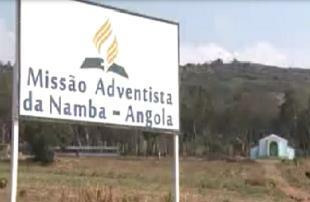 Manna stopped falling when the Adventist Mission Station was destroyed by the rebels during the Civil war which lasted for almost two decades in Angola. 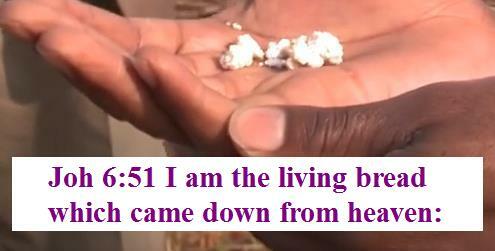 When the Mission station was rebuilt and rededi- cated to the Lord in the year 2010, on that very day, there was a miracle, Manna fell in a large quantity and like never before and people were afraid to come out of their Homes to collect Manna, only little children came out to collect. A visit by SID media shows that Manna still falls in this village till today on every Wednesday and Friday if it is not raining. A native of the village confirms that God has been providing for them till date and people are still eating manna in the village". After prayer, her little girl, about five years of age, went out of the house and in a short time came back with her hands filled with white stuff, which she was eating. "What are you eating?" asked the mother. The Lord has answered your prayer and has sent you manna; take it up and eat it.' "
The little girl was the child of a mother, who was the wife of the director who went away to seek food rather than ask GOD. There is a miracle within a miracle regarding the falling of manna in Namba Adventist Mission Station. When the church members are not in good standing with the Lord the manna that falls is not white. But is blood like and very bitter. The falling of the manna has to do with the believers also around. If in this congregation one of the believers is not walking well with God, the manna that will fall that week will be bitter and that’s until there is a revival among the members. It’s also good to consider at one time the leader of this place was living in sin. The manna fell but it was no longer white as you see today. It was white and red, it was red and white and for that reason the people tried to eat it and it was bitter, because the administrator of the place was living in sin. The administrator "living in sin" may refer to "adultery", but notice how loving Jesus is, sending man to this little Adventist Village, despite the spiritual condition of the assembly. Some of the manna was sent for analysis to the Thomson Laboratory of Mass Spectrometery, Institute of Chemistry, in Campinas, Brazil in June 2011. It was found to consist largely of oligosacharides, along with a large number of other nutrients. The entire analysis consists of an 11 page report. I do not know if that report is available online. 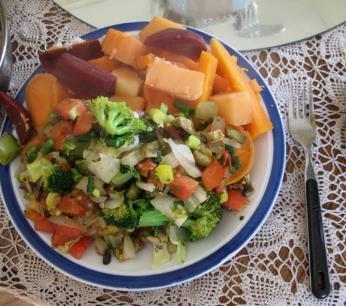 The conclusion of the report was that it is a good source of nutrients for the human diet. Notice the mother was praying about Bible stories of manna to the assembly, but did not "support Jesus with those words from the stories she read". The little child, of child like faith, did "support Jesus' words" and went out to see what Jesus sent. The assembly does not all have to be "spiritually complete" for Jesus to send a wonder through the little girl, who "supported Jesus correctly". Indeed it only takes "two supporting Jesus" for Him to send His wonder. The Author suspects the "wife was supporting Jesus" but did not really thank Jesus or act upon the prayer promise. Notice the assembly had done "prayer and fasting" for three days. Notice the picture of the village shows the assembly are "poor", "humble" and without "indulgence". These are "spiritual conditions" necessary for Jesus to begin to answers those who truly wish to support His words correctly. The Author is saddened to find SDA Church leaders have not investigated the "spiritual lessons" of this "wonder from Jesus", nor do they want to investigate because they may be full of pride and their own Baal Master powers of self fill them with scholarship about Jesus, but the relationship with Jesus, they do not experience. Indeed if one looks over the Internet for anyone defining "faith" correctly, there appears to be nobody who understands. Question: "What is the definition of faith?" This account is typical of many website out there, but notice, they do not describe "how one gets faith". How does the Hebrew English translator describe "faith" to us? At all times and in all places, in all sorrows and in all afflictions, when the outlook seems dark and the future perplexing, and we feel helpless and alone, the Comforter will be sent in answer to the prayer of faith. Circumstances may separate us from every earthly friend; but no circumstance, no distance, can separate us from the heavenly Comforter. Wherever we are, wherever we may go, He is always at our right hand to support, sustain, uphold, and cheer.—The Desire of Ages, 669, 670. Does the SDA church know about this definition of faith? No, not that the Author is aware of. Most so called followers of Jesus do not know what faith is, or how one gets this gift from GOD. The Hebrew English translator writes correctly. How did Ellen White know that this verse about Aaron and Hur has even the Hebrew word "faith" in the verse? There are no Bible translations that translate the Hebrew word as "faith" at all. All translations translate the word as "steady". How did Ellen White know? God told her. She is our trustworthy Hebrew English translator. The reader can be very assured, that this Hebrew sola scriptoria study of "faith" is very unique on the Internet, showing the reader how their "faith" or "support" worked. This is important when Jesus comfirms this in person in the NT. Such a study will open your eyes to the truth in the special writings of Elohiym. DISCUSSION: Consider some good comments in this study of scores of verses. Shalom reading. Next is a word related to "faith", termed "amen"..